T. E. Going – 1830 – ? (It is possible that T. E. Going is the same as Evira Docea Goyen. 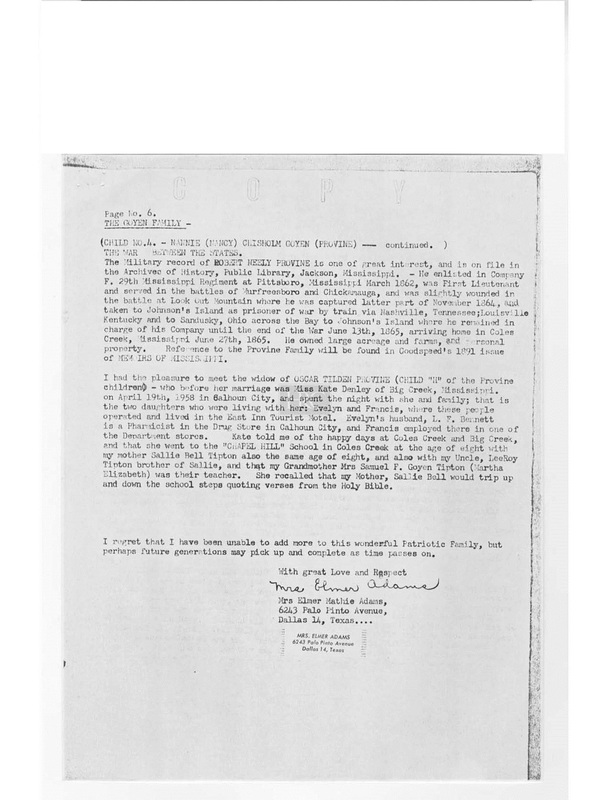 No information regarding a Ms. T. E. Going has been located beyond William W. Goyen’s letters – so it is possible that T. E. Going and Elvira Docea Goyen are the same person). Elvira Docea Goyen – 1830 – 1916 m. ?, and then m. Avens – no children (It is possible that T. E. Going is the same as Evira Docea Goyen. 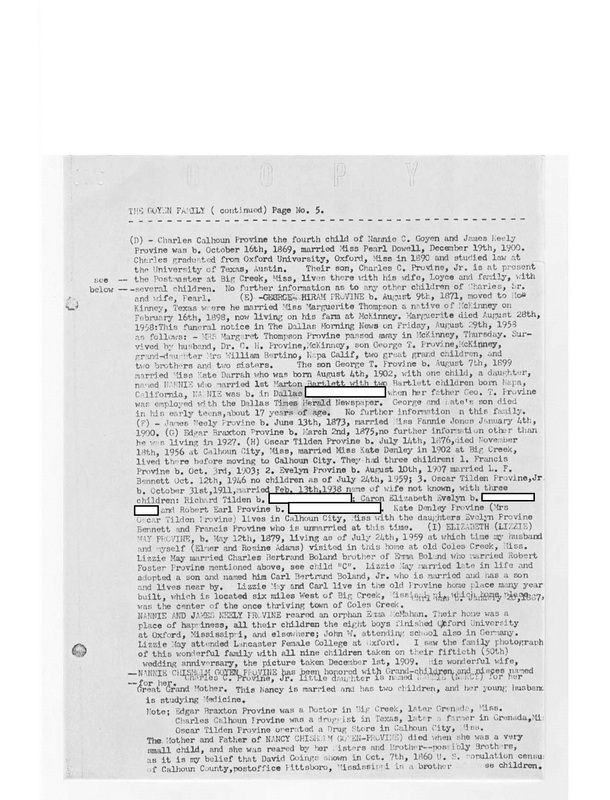 No information regarding a Ms. T. E. Going has been located beyond William W. Goyen’s letters – so it is possible that T. E. Going and Elvira Docea Goyen are the same person). 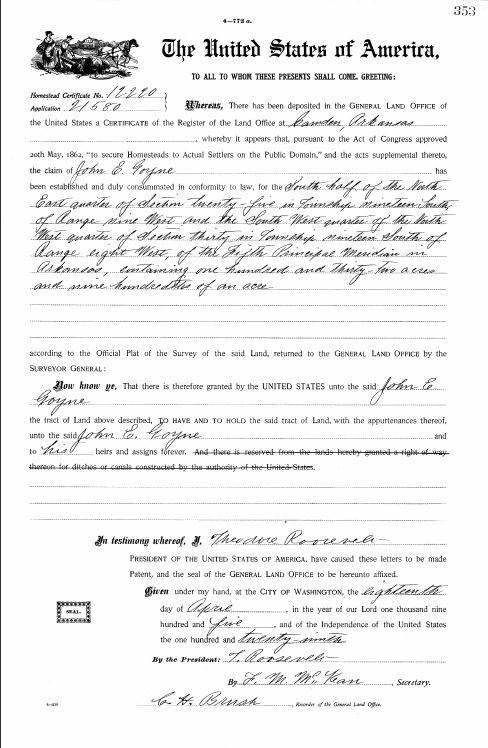 Thomas B. Goyne – b. abt 1825 (It is possible this is Drury Goyen’s oldest child – it appears this Thomas B. Goyne is either the child of Drury B. Goyne, or is a cousin – Possibly a child of James Goyne b. abt 1777 (James Goyne was a child of Drury Goyen b. 1749). About Columbus Democrat. (Columbus, Miss.) 18??-18?? 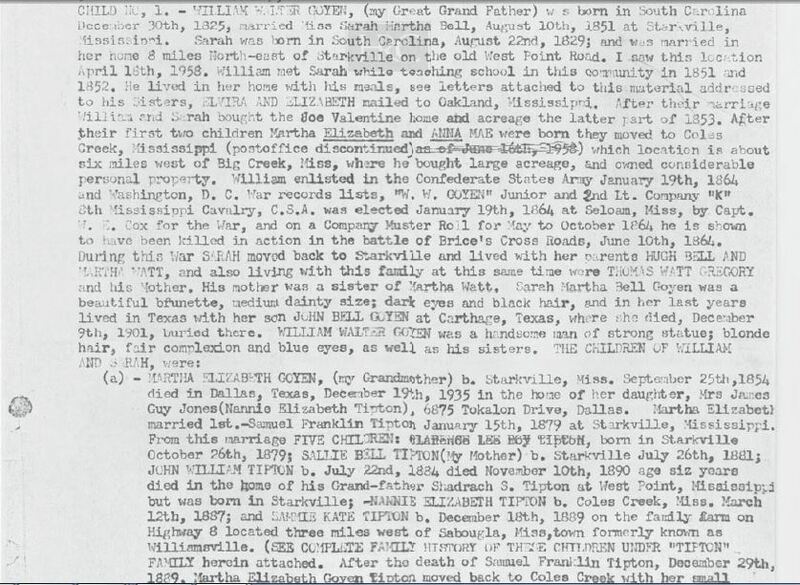 Ann Eliza Going married Jason Fish, and lived in Oktibbeha Co, Miss at the same time as William W. Goyen. 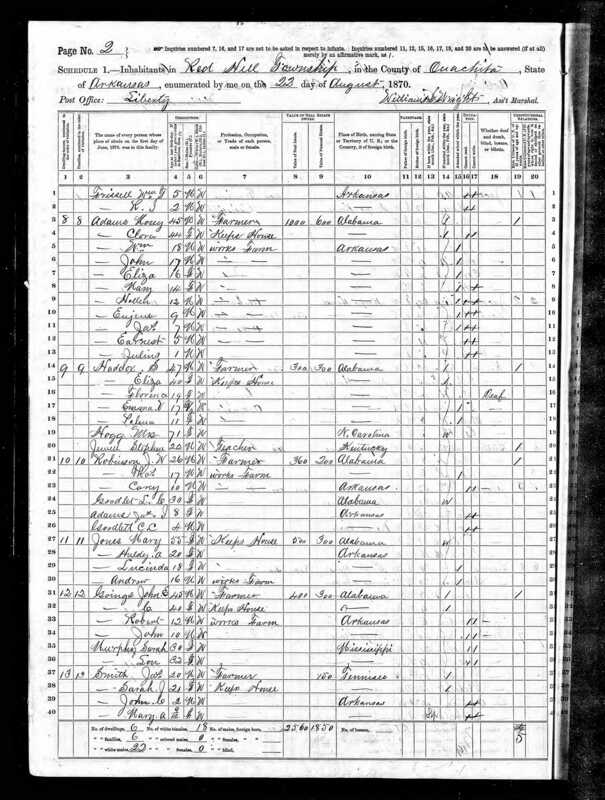 The 1850 US Census has her living with her husband Jason Fish in Mississippi, and their baby. 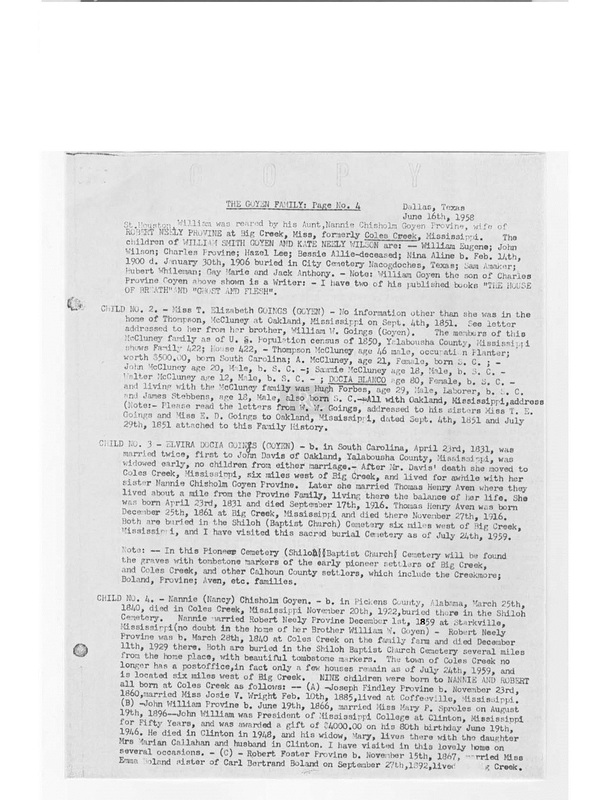 Also living with her is John E. Going – who appears to be her brother – which makes him William W. Goyen’s brother as well. 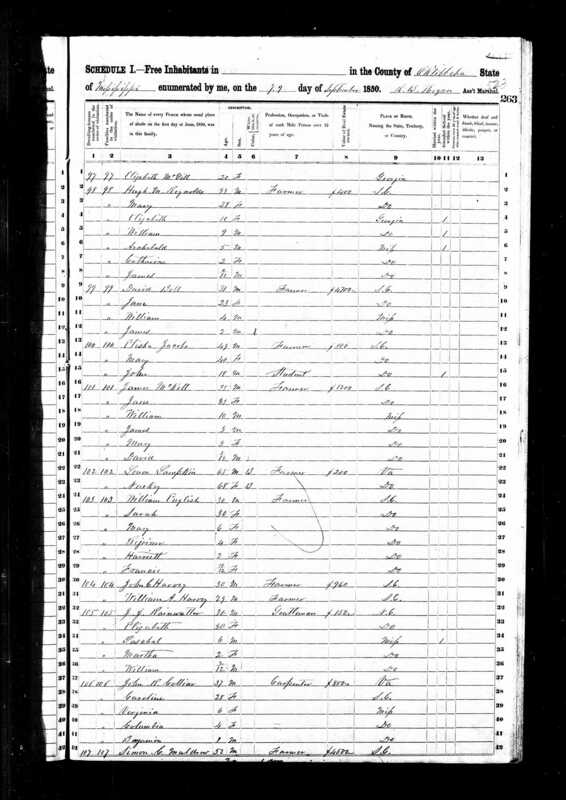 (1850 US Census in Oktibbeha Co, Miss, with Jason S. Fish age 22, Ann Fish (Ann Eliza Going) age 21, Robert Fish age 1, and John Gowins age 22). 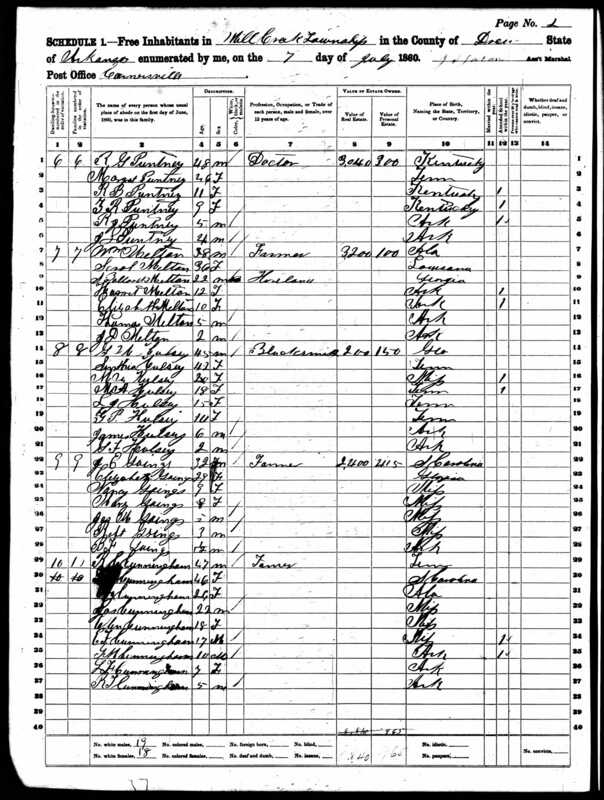 John E. Going’s future wife, Elizabeth McGill is living in Oktibbeha Co, MS according to the 1850 US Census. 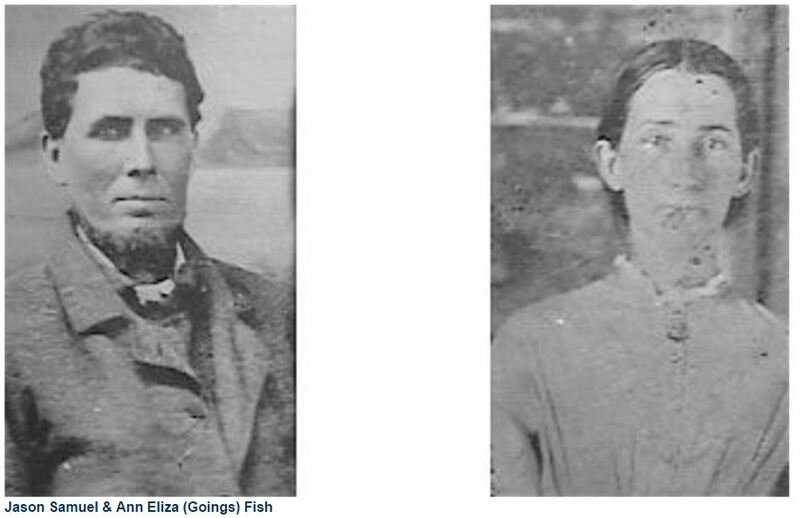 The McGill family is close with the Bell, McKell, Montgomery, and Wiseman families in Fairfield, South Carolina – all appear to have come over from Northern Ireland in the 1760s – several on the same ship. 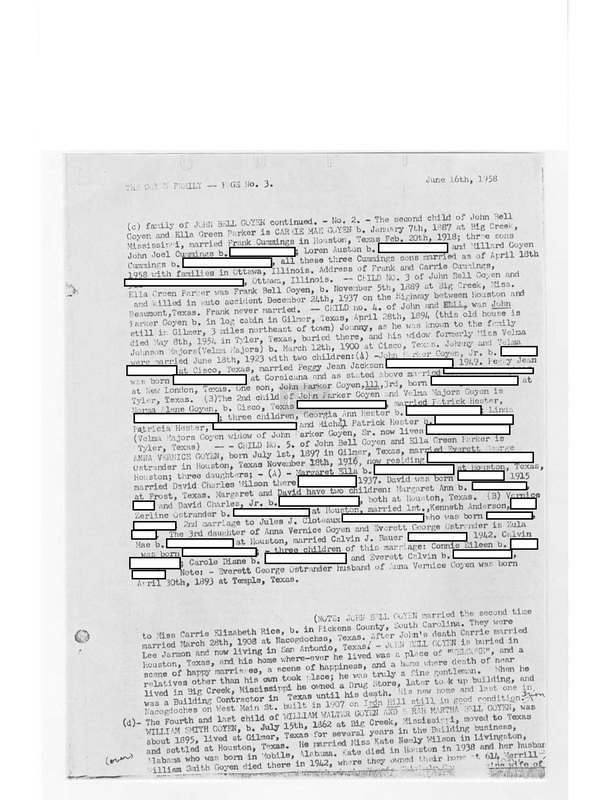 Others on the same page are James McKell age 35 and family from SC – the McKell’s had connections with Hugh Bell’s family in Fairfield, South Carolina. 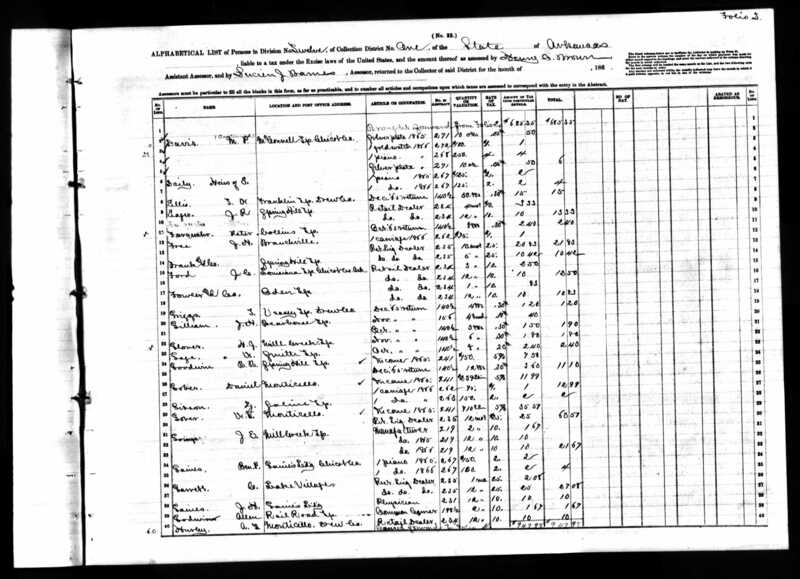 Also on the page is Hugh Bell’s first cousin, David Bell age 31 also from South Carolina. 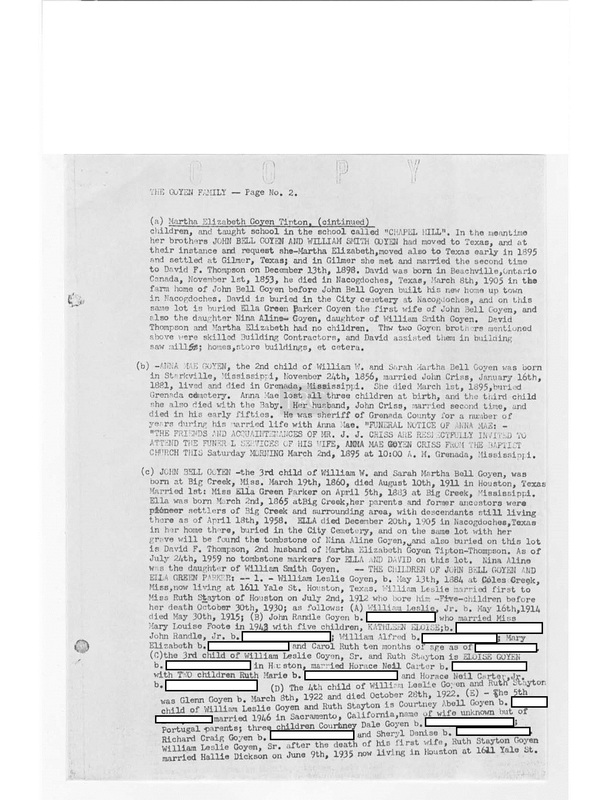 Interesting that John E. Going appears to have married into the same clan of friends as his brother William W. Goyen (who married Sarah Martha Bell – daughter of Hugh Bell). 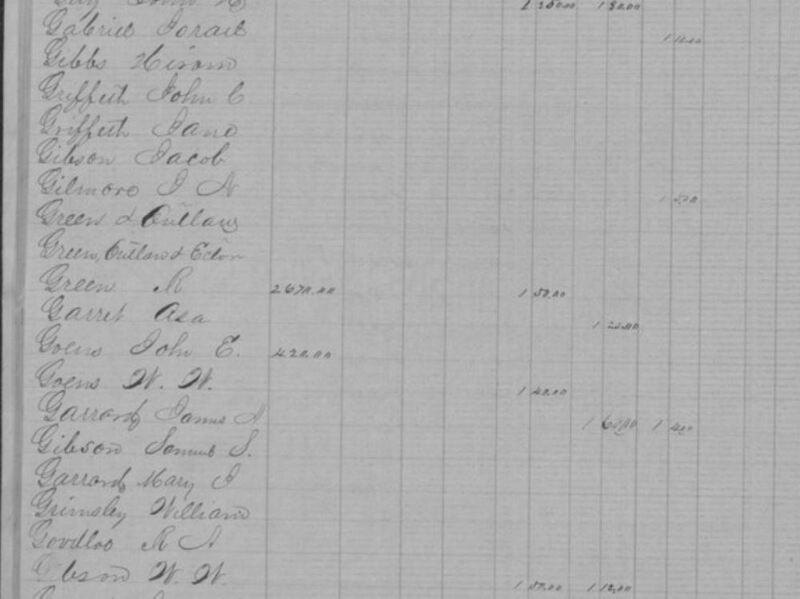 John E. Going (John E. Goen) is listed on the 1856 Oktibbeha County, Mississippi State Census report side by side, on same page with William W. Goyen (W. W. Goen). 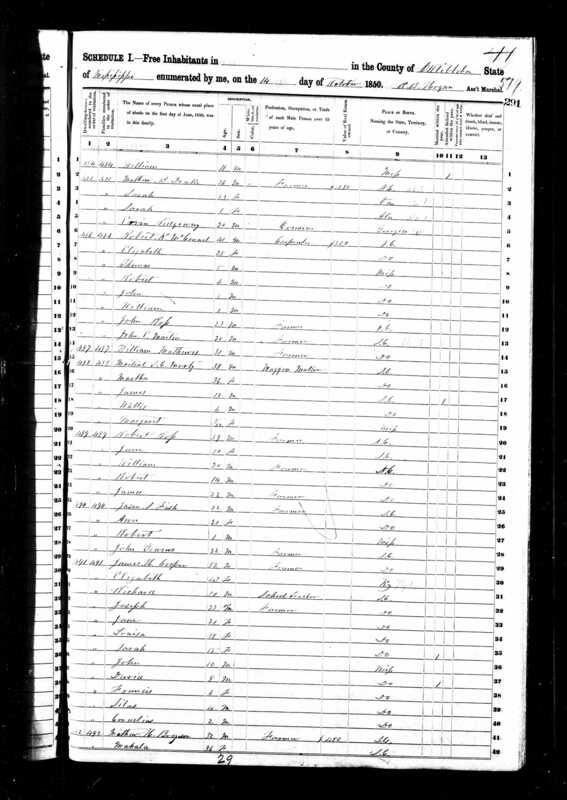 (1856 Oktibbeha County, Miss tax report with W. W. Goen adjacent to John E. Goen: http://mdah.state.ms.us/arrec/digital_archives/taxrolls/Oktibbeha/1856/Personal/11 ). 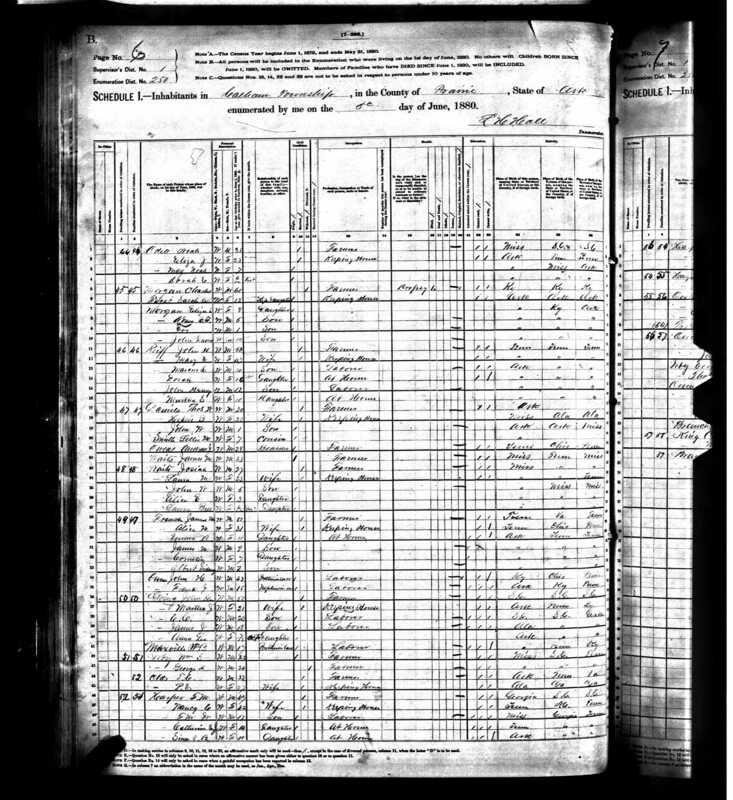 1859 Sept 20: John E Goins and Elizabeth Goins his wife, and William Crop for $280 dollars paid by William H Cropp (or Cross), convey the Southwest quarter of Section 31 Township 20 North of Range 13 East containing 160 acres … Signed: John E Goings, Marget E Goings (her X mark) bk 14, p 53. 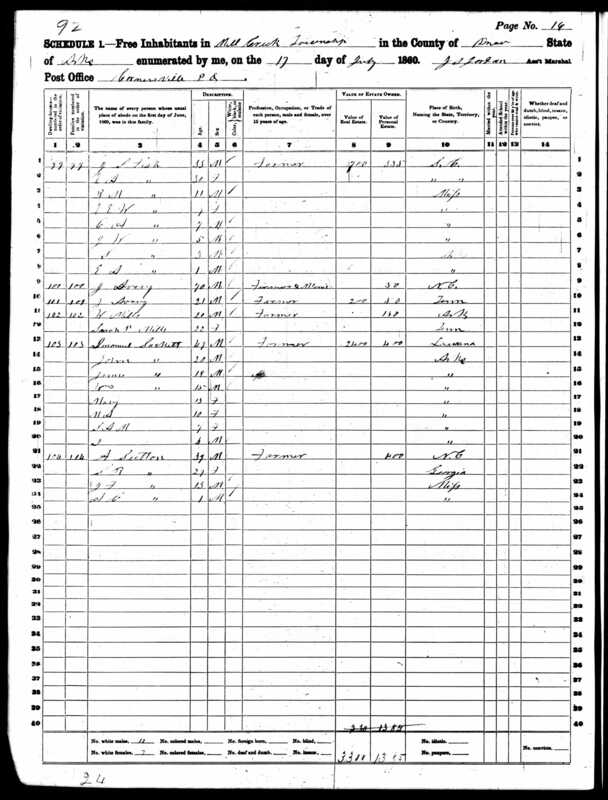 Oktibbeha Co, MS.
By 1860, Ann Eliza Going Fish moves to Arkansas with her family, and so does John E. Going. 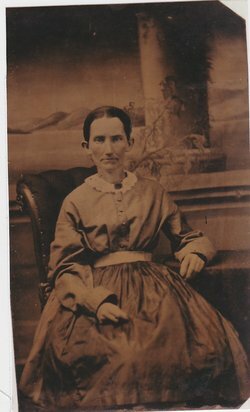 John E. Going had also moved to Drew County, Arkansas by 1860 – along with sister Ann Eliza Going and her husband Jason S. Fish and their family.